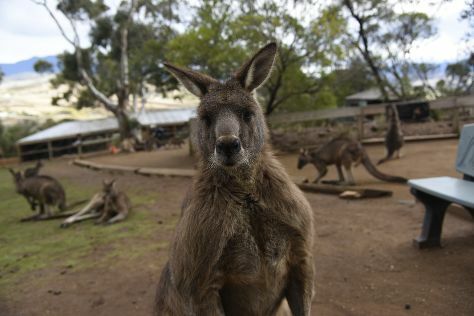 Take a break from the city and head to Bonorong Wildlife Sanctuary and Macquarie Island. Get some cultural insight at Battery Point Sculpture Trail and Tasmanian Museum and Art Gallery. There's lots more to do: steep yourself in history at Cascades Female Factory Historic Site, see the interesting displays at Mawson's Hut Replica Museum, stroll through Kingston Beach, and take a leisurely stroll along Constitution Dock. To find other places to visit, reviews, traveler tips, and tourist information, you can read our Hobart visit app . Austin, USA to Hobart is an approximately 25-hour flight. You can also do a combination of car and flight; or do a combination of bus and flight. Traveling from Austin to Hobart, you'll lose 16 hours due to the time zone difference. In March, daily temperatures in Hobart can reach 71°F, while at night they dip to 52°F. Finish your sightseeing early on the 17th (Sun) to allow enough time to travel to Sydney. 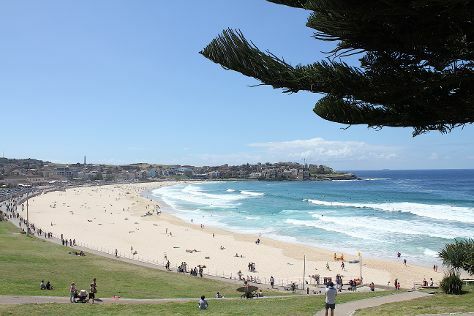 Family-friendly places like Bondi Beach and Manly Beach will thrill your kids. Get a sense of the local culture at The Rocks and Sydney Opera House. Go for a jaunt from Sydney to Manly to see Shelly Beach about 36 minutes away. There's much more to do: trek along Bondi to Coogee Beach Coastal Walk, enjoy the sand and surf at Coogee Beach, meet the residents at Sea Life Sydney Aquarium, and wander the streets of Darling Harbour. For reviews, other places to visit, maps, and other tourist information, use the Sydney tour planner. You can fly from Hobart to Sydney in 4.5 hours. Alternatively, you can do a combination of bus, ferry, and train; or do a combination of bus and ferry. Prepare for somewhat warmer weather when traveling from Hobart in March: high temperatures in Sydney hover around 79°F and lows are around 66°F. Finish up your sightseeing early on the 20th (Wed) so you can travel to Townsville. On the 21st (Thu), take an in-depth tour of Museum of Tropical Queensland, kick back and relax at The Strand, and then go for a walk through Castle Hill. 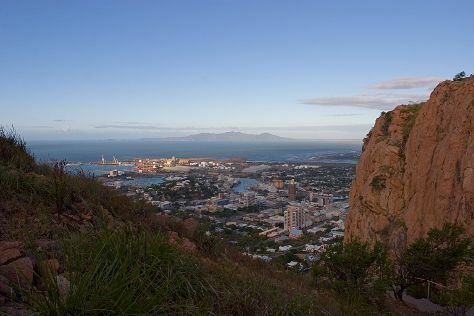 To see where to stay, traveler tips, reviews, and more tourist information, go to the Townsville trip planner . Traveling by flight from Sydney to Townsville takes 5.5 hours. Alternatively, you can drive; or take a train. Expect a bit warmer temperatures when traveling from Sydney in March; daily highs in Townsville reach 87°F and lows reach 75°F. Finish your sightseeing early on the 21st (Thu) so you can travel to Port Douglas. Relax by the water at Palm Cove Beach and Four Mile Beach. Get in touch with nature at Mossman Gorge and Wildlife Habitat Port Douglas. Spend the 22nd (Fri) among aquatic life with a scuba or snorkeling tour. Next up on the itinerary: relax in the rural setting at Hartley's Crocodile Adventures and look for gifts at With Sugar. For where to stay, photos, and more tourist information, use the Port Douglas online travel route planner . Traveling by combination of flight and shuttle from Townsville to Port Douglas takes 4.5 hours. Alternatively, you can drive; or do a combination of bus and shuttle. Expect a daytime high around 87°F in March, and nighttime lows around 74°F. Finish your sightseeing early on the 24th (Sun) so you can drive to Cairns. Get outdoors at Scuba & Snorkeling and Nature & Wildlife Tours. You'll explore the less-touristy side of things at Botanical Gardens and St Monica's Cathedral. There's more to do: let the kids burn off some steam at Muddy's Playground. To see more things to do, other places to visit, maps, and other tourist information, go to the Cairns itinerary builder tool . Traveling by car from Port Douglas to Cairns takes 1.5 hours. Alternatively, you can take a bus; or take a shuttle. March in Cairns sees daily highs of 87°F and lows of 74°F at night. Finish your sightseeing early on the 27th (Wed) so you can travel back home.